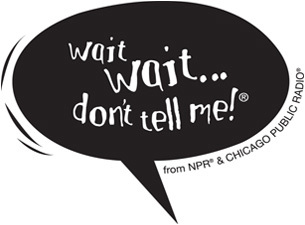 My favorite show on NPR is Wait, Wait, Don’t Tell Me, and we attended the live taping of Saturday’s show. The panelists were Charlie Pierce, Roxanne Roberts, and Mo Rocca. I think Mo is tied with Paula Poundstone as my favorite panelist. The show was very good, and it was interesting to see all of the things that go into making the show. The show was taped at Powell Hall in front of an audience of about two thousand. Besides the panelists, the host Peter Sagal, and announcer Carl Kasell, there were a handful of producers on the stage, monitoring the recordings and passing notes to the participants. Following the show, there was a brief period of re-takes to rerecord portions of the show that did not have the best audio quality. At the end of the show, an audience member was selected at random to come up on stage and answer a quiz question — this segment was not recorded as part of the radio show. The woman selected identified herself as a school teacher, and her question was in regard to train stations in Japan. She wasn’t sure of the answer, but an audience member in the front row was from Japan and gave her the answer. To everyone’s astonishment, the teacher spoke fluent Japanese, and had a brief conversation with this person. Peter Sagal’s reaction to this exchange was hilarious. Needless to say, she gave the correct answer.